Argentina and Barcelona footballer Lionel Messi and his father should stand trial on tax fraud charges, a court in Spain has ruled, after the judge in charge of the case rejected a request by prosecutors to drop the charges against the striker. 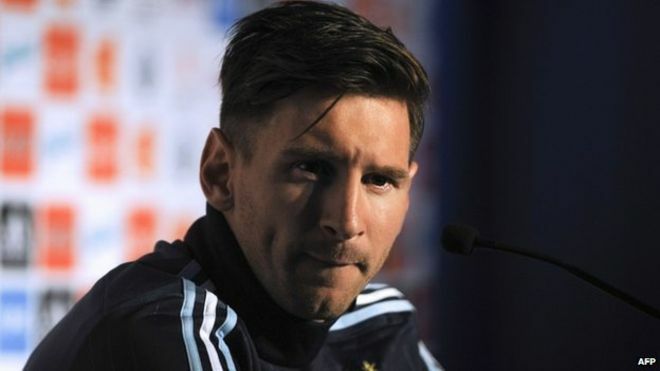 Messi and his father Jorge are accused of defrauding Spanish authorities of more than 4 million Euros. According to the BBC, Lawyers acting on behalf of the tax authorities demanded 22-month jail sentences for both defendants. No date has been set for the trial of the 28-year-old footballer – the four-time World Player of the Year and one of the richest athletes in the world.